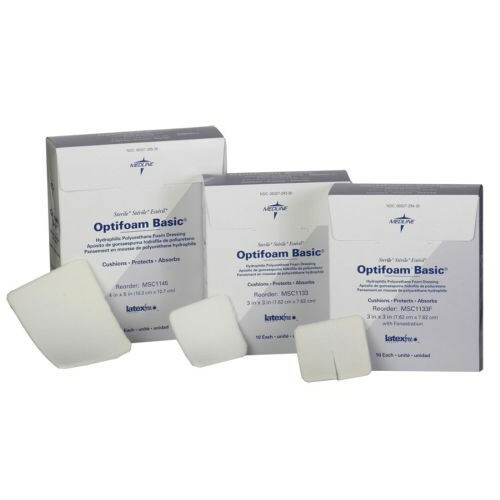 Optifoam Basic Dressings absorb exudate and provides a moist wound environment. 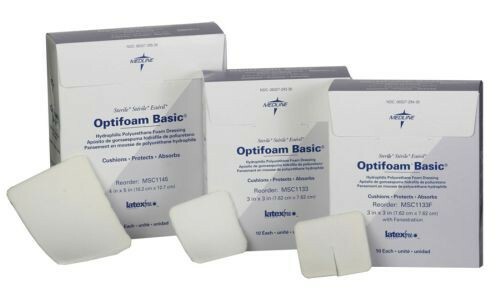 Soft, conformable and cushioning, making it ideal for bony prominences and site care. Fenestrated version is ideal for tube sites.